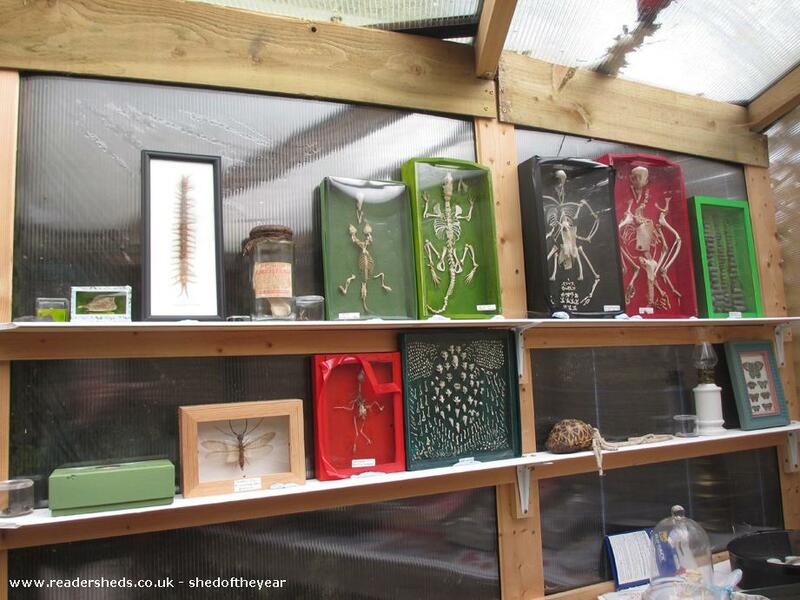 The shed is a museum designed for children under 12 to encourage an interest in biology and the natural world. 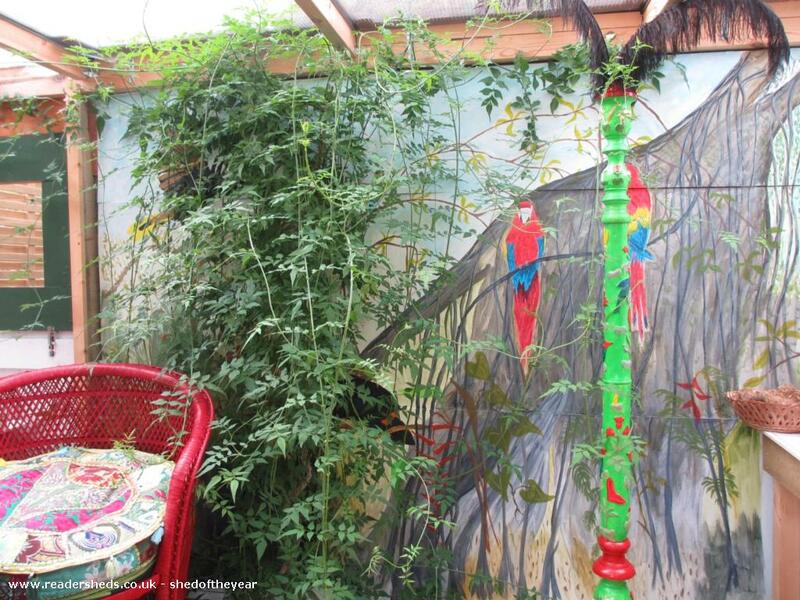 It is reached by means of a hidden entrance in a secret garden and has walls painted with scenes from a tropical rainforest. 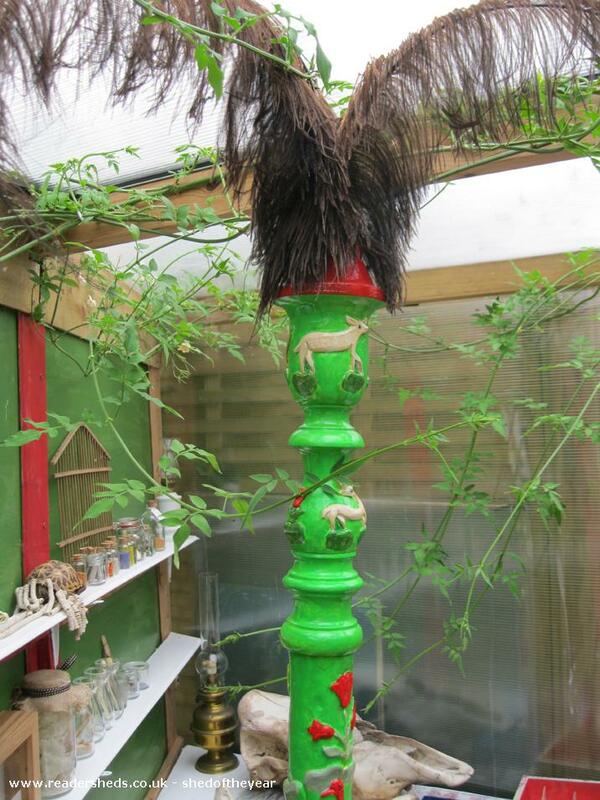 It contains objects collected in the wild, many of them locally. 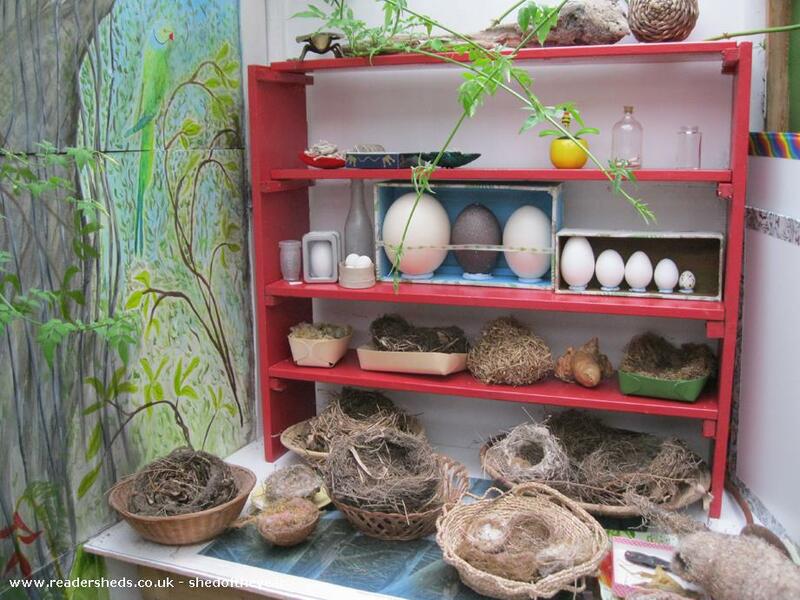 There are skeletons, birds nests, fossils, shells and insects etc. There are posters, books and a microscope for looking at small things. 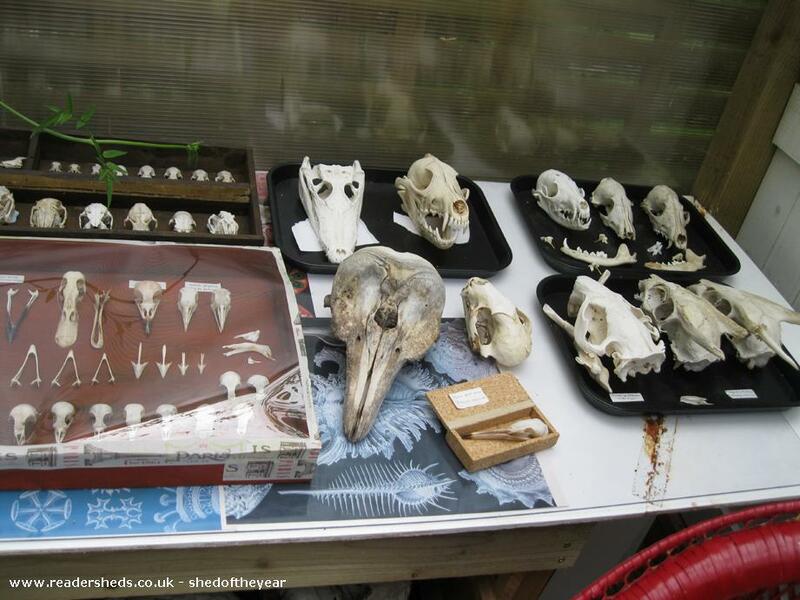 There is a quiz for the children who are encouraged to develop their own collections. 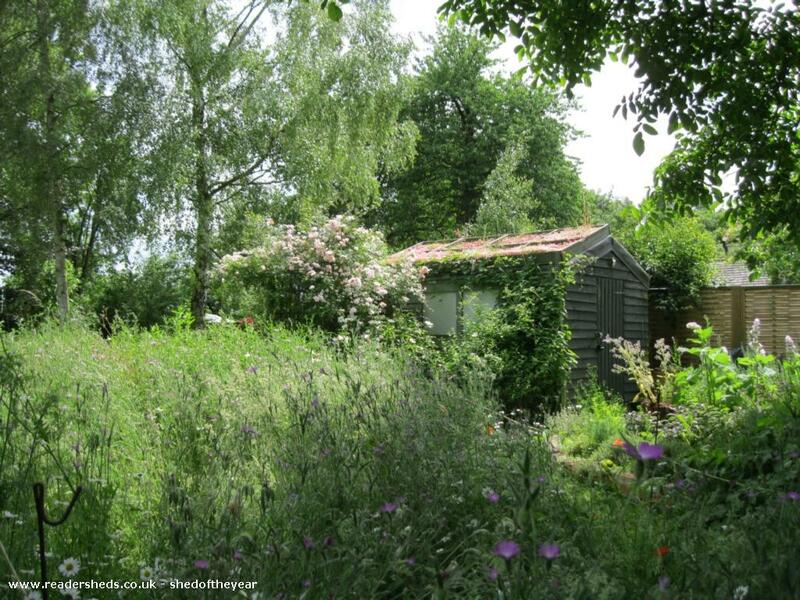 Started as an ordinary garden shed (pre-existing) to which a living roof was added. Then an extension was built by means of a living wall. The living wall harbours a hidden entrance. 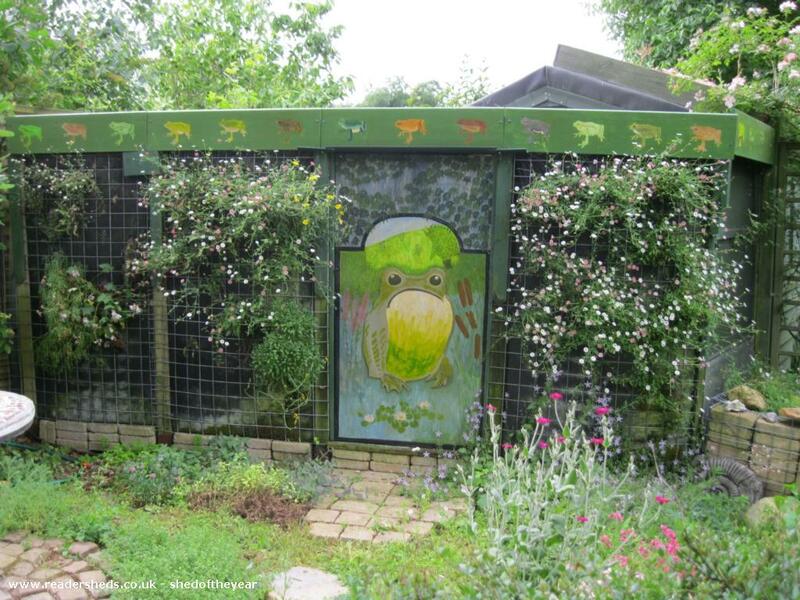 The extension has a greenhouse style roof so that a fragrant jasmine grows inside. The interior contains shelves and tables for the display of the curiosities.